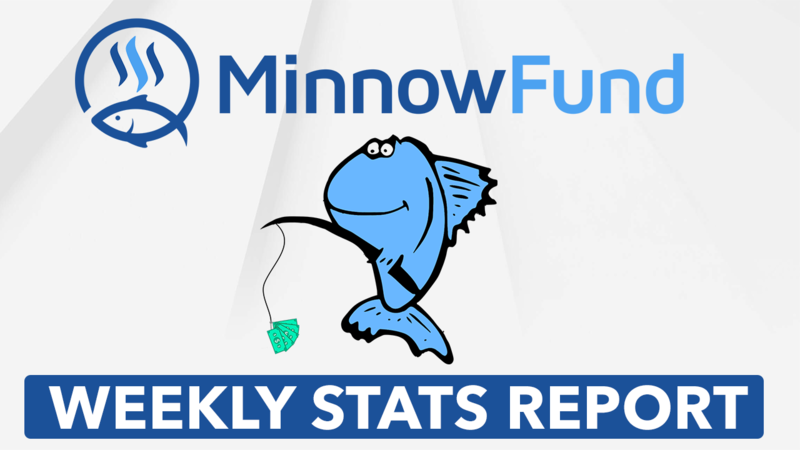 This post is made in an effort to provide transparency regarding the @minnowfund support initiative. Each week we curate content creators who we feel are making a real difference on the Steem blockchain. These are people who produce regular, "high-quality" content, engage with their following, and have shown that they have a long-term vision for their Steem accounts. This initiative was founded by @brandonfrye and is supported by those delegating to the BrandonFrye upvote service. All curation rewards earned from the upvote service are sent to the @minnowfund account and are used to support our fellow minnows. So thank you to all who have supported us! Each week we search to find minnows who we feel are making an impact on the Steem blockchain and we support them via our upvote curation trail. We'll be adding more and more users to our list as time goes on and our Steem Power grows.